Home Press Releases Celebrate Dr. Seuss’s 109th Birthday at the Springfield Museums! Celebrate Dr. Seuss’s 109th Birthday at the Springfield Museums! On Saturday, March 2, the Springfield Museums will host their annual Dr. Seuss Birthday Celebration from 10 am-4 pm. Theodor Seuss Geisel was born in Springfield on March 2, 1904. The celebration is part of the Museums’ Weekend Family Fun series, which is sponsored by TD Bank through the TD Charitable Foundation. 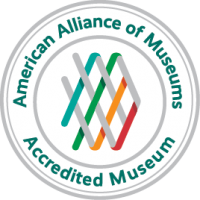 Activities are free with museum admission unless otherwise noted. Goowin’s Ballowins, noon and 2 pm – Madcap balloon artist Allynn Gooen fills the stage with extraordinary creations while telling well-known stories in which audience members will star. 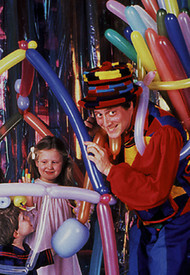 While most clowns and magicians twist balloons into creatures for kids, Allynn uses balloons to turn kids into creatures! Dr. Seuss Cake Contest – View Seuss-inspired confections and enter to win one of the entries by voting for your favorite (11 am-2:30 pm). At 3 pm, the results of the voting and the raffle winners will be announced (must be present to win raffle). Family Science Adventures (11 am–2 pm). Interactive science demonstrations for the whole family.